Clover is a plant that since the ancient times was a symbol of fortune and good luck. More specifically, it is a four-leaf clover since it is challenging to find one. The Daily Telegraph points out that the chances to find a single four-leaf clover are about one in 10,000. The four leaves symbolize hope, faith, love, and luck for a person who discovers it. 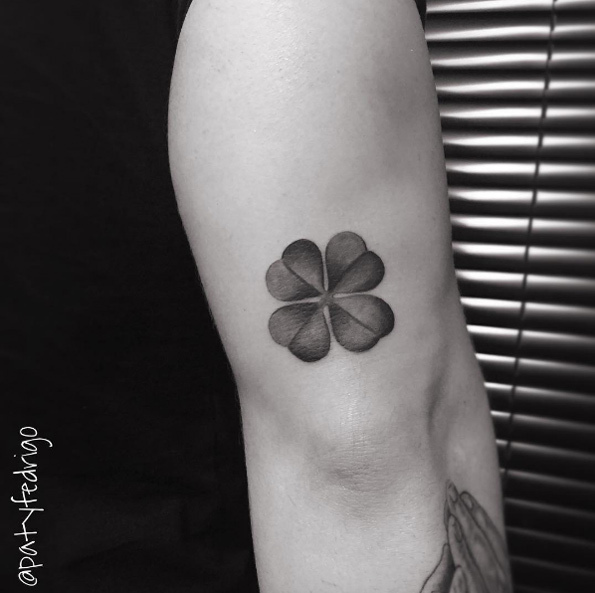 So, if you are looking for a symbol of fortune, a four leaf clover tattoo is a great choice. Let’s find out more about this mystical plant. A four leaf clover – a symbol of luck? The clover is an easily recognizable plant that has three symmetrical green leaves that are more or less rounded. Clovers are forage plants and grow in Africa, Europe, Asia, and America. But, as you may already know, the four-leaf clovers also exist. However, there is an estimation that for each four-leaf clover, there are 10,000 three leaf clovers. So, it is not a surprise why it became a symbol of luck. Since the ancient times, people used clovers as amulets to attract good luck in their lives. 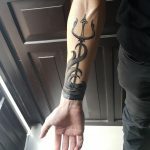 This symbolism comes from various myths and legends. One of those myths tells that when God banished Eve from the Garden of Eden, she only had a four-leaf clover that covered her intimate area. Another legend says that if a young woman finds this plant, she will be lucky in love. In other words, she will find a young man of her dreams and will live a happy life. Another old story points out that if we find a four-leaf clover, we must put and keep it in our shoe to receive the whole fortune. Also, many Christians believe that if you have a four-leaf clover, you should keep it in a bible. In some mythologies, the fairies use clovers to recover their strength, so many people think that the four-leaf clover has healing powers as well. For this reason, many people decide to get a clover tattoo as protection from all sorts of evil. As they carry it on themselves, they believe that it brings them fortune and positivity. Although the meaning of this plant varies from culture to culture, the primary symbolism of a four-leaf clover is luck. 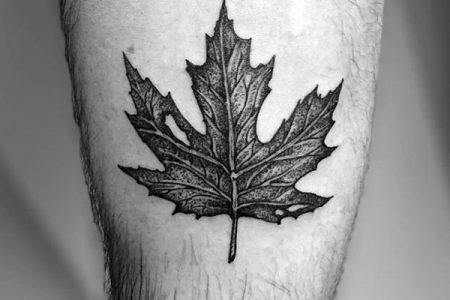 The first leaf symbolizes hope, the second embodies faith, the third stands for love, and the fourth leaf brings success and wealth to the finder. As with any other tattoo, the clover tattoo meaning depends on each person individually. For example, if you’re a Christian it can remind you of Adam and Eve’s sin and how great and powerful is God. On the other hand, if you like magic and mystical things, a four-leaf clover will protect you from the evil beings and bring you good luck. But the fortune and wealth are not the only symbols that the four-leaf clover has. It can also express your faith or hope. Maybe your family member or a close friend is suffering from a severe illness. In this case, a four-leaf clever would embody your hope and faith that they will get better. As you can see, the four-leaf clover is a plant with many deep meanings. It is a mystical and mysterious symbol that people have been using since the olden days. Before deciding to get a tattoo, we encourage you to spend some time by searching for the best example. If you are a spiritually-minded person, a clover will express your beliefs and your inner self. But if you want it only because of the looks – that’s completely ok. Your tattoo doesn’t have to mean something special. 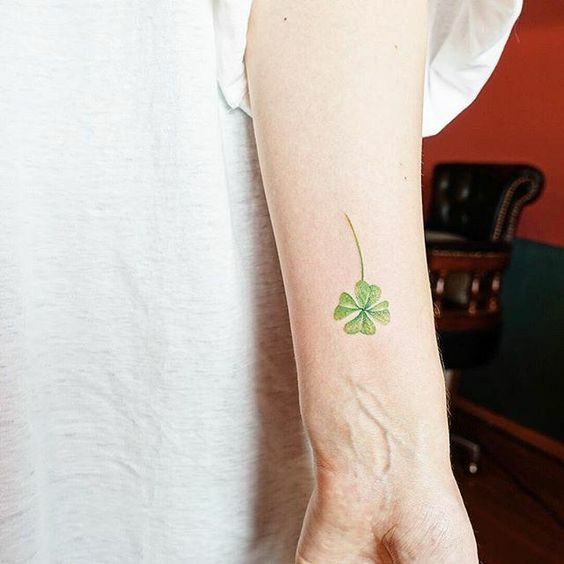 Usually, clover tattoos are small unless they are together with some other objects such as horseshoe, flowers or others. But we recommend minimal and small designs without any other objects. Such tattoos look very beautiful on an ankle, neck, wrist or rib cage. Whichever idea you choose, make sure you go to a professional tattooist. Clover is a lovely plant that will look good on any part of your body, and it is suitable both for men and women. Take a look at our most beautiful selection of clover tattoo ideas. We hope you’ll find the inspiration here!